Figuring out the time is easy these days, whether with inexpensive wristwatches or the ubiquitous cell phone clock. But in centuries past, humans had to rely on shadows from the sun, the melting of a candle, or even the varying smells of incense. Here are some examples of antiquated timekeeping, including a few we probably shouldn't bring back. The use of sundials is ancient, with the basic idea being a central gnomon casting a shadow from the sun to mark the passage of time. While the Greeks and Romans installed them throughout cities and the elite had pocket models, more curious examples emerged later on—including a solar cannon sundial from the 19th century that would fire a small gun when the sun's heat concentrated on a lens. The largest stone sundial in the world, constructed in the early 18th century, is the Jantar Mantar in Jaipur. It stretches 73 feet and involves 20 astronomical instruments. Meanwhile the Taipei 101, which was the world's tallest tower from 2004 until it was surpassed by Dubai's Burj Khalifa, also works as a colossal sundial, striking a shadow on a circular park below. The 17th century sundial at Queen's College in Cambridge, England, is rather special, as it can also be read as a moondial. Set into a brick wall, it includes a moon-table that connects the phase of the moon to the apparent lunar time based on moonlight, which should help you figure out what time of night it is. The Queen's College website has in-depth detail on how it works. Obelisks aren’t just static monuments, they also have long shadows that are perfect for timekeeping. When Greek philosopher Eratosthenes calculated the Earth's circumference he relied on obelisks, and the knowledge that while one might have no shadow on the Summer Solstice in Syene, another in Alexandria would. In Paris, you can still see an obelisk being used as a sundial: The Luxor Obelisk in the center of the Place de la Concorde aligns its shadow with points on the pavement to show pedestrians the time. A sundial becomes rather useless after sunset, so another ancient timekeeping device emerged. The water clock dates to at least 1500 BCE, the basic principle being a device that uses the reliable flow of water to represent the passing of time. Water clocks appear throughout antiquity, from Egypt to Greece to the Arabic world, and became quite incredible: One 13th century design by Al-Jazari involved a towering water clock on top of a mechanical elephant. 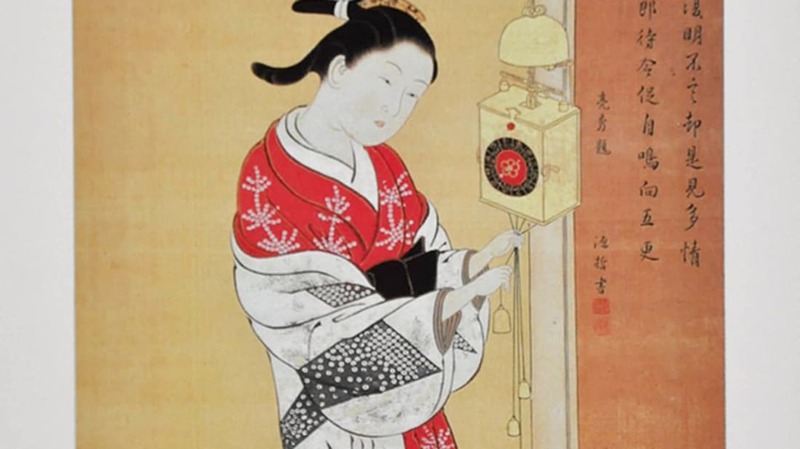 Dating to the Song dynasty (960-1279), the incense clock spread from China to Japan and other Asian locales. Although each version involved the burning of incense to track time, the system was often different. Sometimes the clock had various colors of smoke to signal the time, others burned to markers or alarms, while a few even involved different incense smells so the user would be olfactorily aware of the passage of time. Ever watched the Times Square Ball drop on New Year’s Eve? You’re witnessing a rare demonstration of time ball timekeeping, a practice that emerged in the 19th century when large metal or wooden balls would plummet at a certain hour to synchronize navigators’ marine chronometers. The first time ball is considered to have been erected at Portsmouth, England, in 1829; most that followed were also visible from the sea. By the 1920s, radio and other advancements made them obsolete. Although the Times Square version is really just a novelty—no one starts their midnight clock by it—there are still time balls that operate as nostalgic attractions. The time ball at the Royal Observatory Greenwich in London falls each day at 1 p.m., just as it has since 1833. The merkhet is another ancient solution to the sundial's failure at night. Instead of relying just on the sun, it tracked the alignment and visibility of several stars. This "star clock" is known to date to ancient Egypt, and was designed with a long bar and a plumb line, as well as a sighting tool, with which a user could focus on a particular star and use celestial transit as a time marker. Similar to a time ball but a lot more cacophonous, the noon cannon is discharged at a specific time (noon) to herald the hour. Like the time ball, it’s also now obsolete. Yet you can still get the time blasted in your ears at Signal Hill in Cape Town, South Africa, where a cannon is shot at precisely noon each day, a tradition dating to the early 1800s; and in Halifax, Nova Scotia, where a noon gun has fired since 1857. Before every household had a clock, communities could keep track of time by listening for the local church bells. The word clock is in fact derived from clocca—Latin for bell—as many of the church clocks that began to be built in the 14th century involved striking bells. If you live near a church that still tolls the hour, you’re getting the time like a medieval person. Akin to the church bell, the clock tower was a public resource for the time, and also kept the community to the same schedule. Parliament in London might have one of the most famous clock towers with Big Ben, but the basic idea dates back centuries. The 42-foot Tower of the Winds in Athens, constructed around 100-50 BCE, has eight sides that each face a different compass direction, and sundial lines below. While the first hourglass is sometimes dated to 8th century France, it’s unclear exactly when this timepiece emerged. The sand clock, as it's also known, really took off in the 14th century, when marine sandglasses were especially common on ships to track time. And that familiarity made them great symbols for the fleetingness of mortal time in art and tombstones, a use that continues to the present. Certainly among the more hazardous timepieces, the oil-lamp clock involved a glass reservoir for oil that would lower as it was burned off, indicating the movement of time. These were mostly designed for the steady-burning whale oil, and were a bit like a more flammable hourglass, although their popularity was mostly confined to the 18th century. An invention patented in 1808 by Sir William Congreve, the Congreve clock is an elaborate machine that uses the 15-second roll of a brass ball down a zig-zagging track to move the hands on the timepiece. Over the course of a day, the ball would roll back and forth on the track 5760 times. Unfortunately, as National Museums Scotland points out, it wasn't quite successful, as any bit of dust on the track threw off the ball’s timing. Shaped with a basilica-like dome, the lantern clock became popular in 17th century England, the first clock to be common in homes. The brass timepiece operated with interior weights, and happened to emerge alongside a newly established middle class that was interested in keeping its own time, without having to strain their ears for the church bells. In the 6th century, Chinese poet You Jiangu described a candle clock in his writing. Like an hourglass or water clock, it relied on the movement of a material to chronicle time, the material here being the melting of wax. Al-Jazari, of the aforementioned elephant clock, designed perhaps the most complicated candle clock in the 14th century, which included a human-shaped automaton on the outside. Due to the unpredictability of melting, the candle clock was not incredibly reliable, a fact that perhaps saved many homes from going up in flames.